US rock giants, The Killers are pleased to announce a return to Belfast with their biggest ever Northern Irish headline show at Belsonic on Tuesday 25th June 2019, joined on the night by number 1 charting Lewis Capaldi. The Killers, who have sold over twenty-five million albums worldwide, and headlined all of the world’s top festivals (Coachella, Lollapalooza, Glastonbury), released their newest studio album, Wonderful Wonderful , in September 2017, where it landed at No. 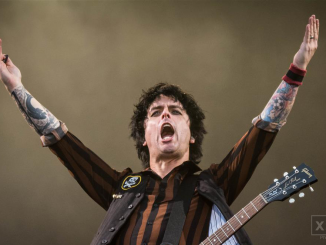 1 on the Billboard Top 200 chart the week of its release, as well as topping the charts in the U.K., Mexico, and Australia. The album is the band’s fifth consecutive number one in the U.K., and Brandon Flowers’ seventh U.K. number one overall. 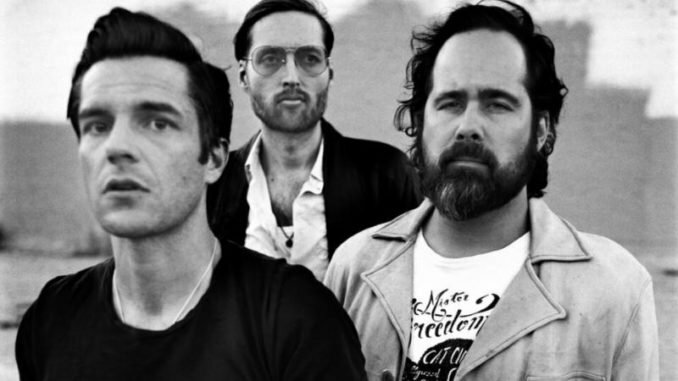 The Killers are a Las Vegas-based four-piece who formed in 2003, featuring the talents of singer/keyboardist Brandon Flowers, drummer Ronnie Vanucci, guitarist Dave Keuning and bassist Mark Stoermer. The band has received countless accolades for their artistic achievement, including multiple Grammy nominations, American Music Award nominations, MTV Video Music Awards, NME Awards and more. Their first album, Hot Fuss, was released in 2004 to worldwide acclaim. The album contained the singles “Mr. Brightside” and “Somebody Told Me,” in addition to the anthemic song “All These Things That I’ve Done,” which has since been referenced by the likes of U2 and Coldplay. The band toured for two years straight behind Hot Fuss, playing more than four-hundred shows, and eventually returned to Vegas to begin to work on the follow-up album with legendary producers Alan Moulder and Flood. The result, a love letter of sorts to their hometown entitled Sam’s Town, was released in 2006 and spent forty-two weeks on the Billboard Top 200. A b-sides collection entitled Sawdust was released in 2007, followed by their third studio album, Day & Age, which was released to widespread critical praise in 2008, anchored by massive single “Human.” The Killers released Battle Born in September 2012, which saw them expanding their world tour into countries they’ve never visited before, and finally were honored to perform at the world-renowned Wembley Stadium, one of the most monumental and significant shows of their career. 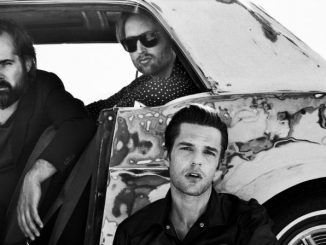 After a decade of making music, in November 2013, The Killers released a “Best Of” collection, Direct Hits, which featured two incredible new songs alongside classics from the band’s revered catalogue. Scottish singer-songwriter Lewis Capaldi recently SOLD OUT his biggest headline Belfast show to date at the Ulster Hall on Friday 22nd November 2019. Lewis’s new track Someone You Loved, from the Breach EP, is his fastest- growing streaming track to date. Lewis is in the Top 400 GLOBAL artists on Spotify, with Someone You Loved having been added to their Hot Hits UK playlist, the biggest in the country. It’s also been added to Apple Music’s top list, Today’s Hits. The single has been number 1 in the UK singles chart for several weeks now and continues to hold its position. 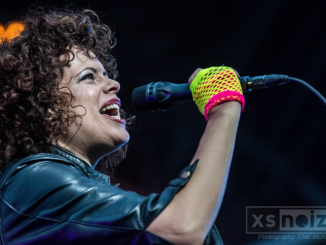 Clair McAllister was on hand again to capture the first night of Belsonic at Belfast’s Ormeau Park featuring Arcade Fire with another batch of stunning images.